A broad brush stroke paints the group known as Vital Hues. 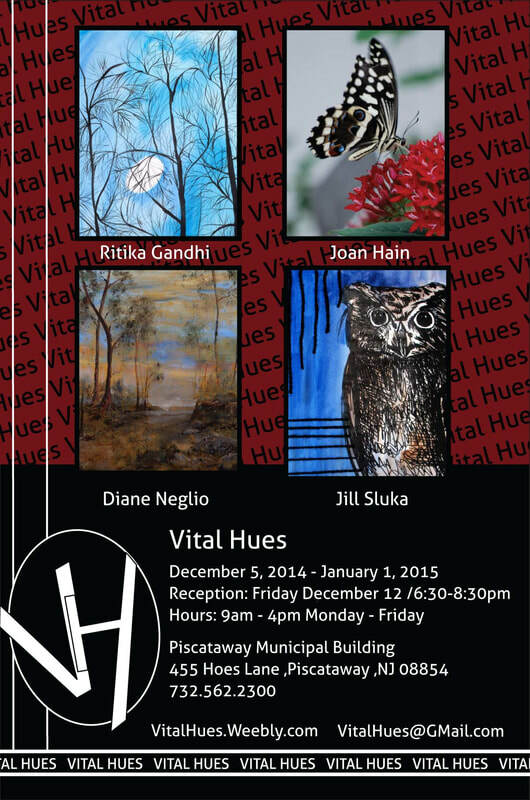 It is a group of four New Jersey artists that exhibit their work in and around the state. A common bond of sharing their passion for creative expression led the artists to come together and form Vital Hues. Each of the artists’ unique talents, be it drawing, painting, sculpting, or printmaking, add vibrancy, freshness and originality to each of their shows. 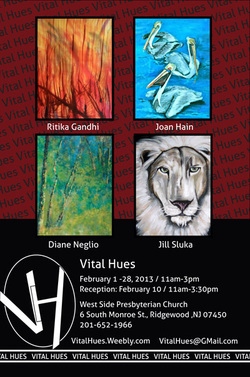 Currently Vital Hues will be exhibiting during the month of February at the West Side Presbyterian Church in Ridgewood and in April their work can be seen at the JCC in Tenafly. Opening for the show will be held on Sunday, February 10, 11 am to 3:30 pm. 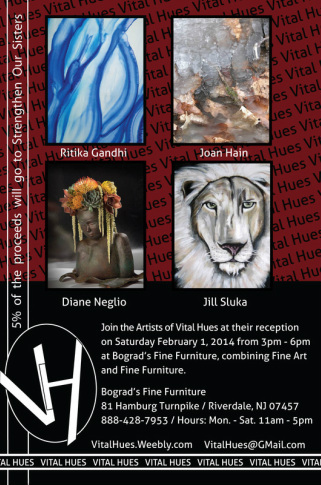 For more information on the individual artists and their group shows please visit their website: vitalhues.weebly.com. 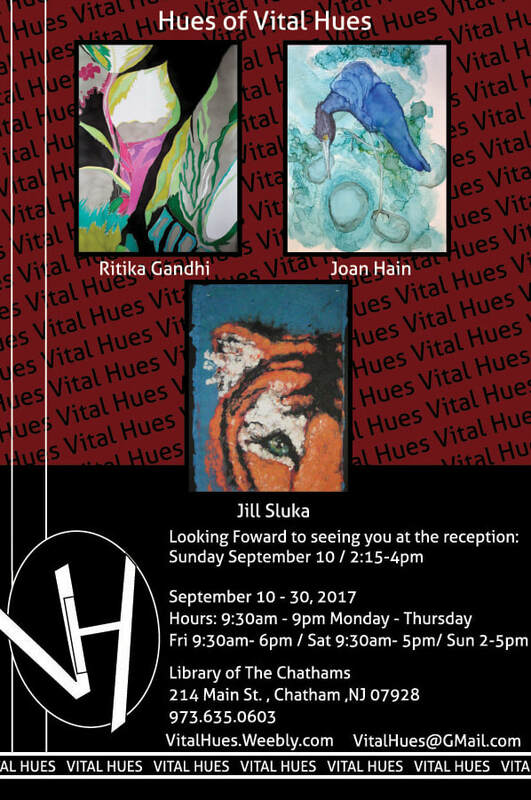 PRESS RELEASE A broad brush stroke paints the group known as Vital Hues. 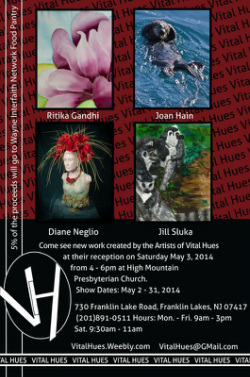 It is a group of four New Jersey artists that exhibit their work in and around the state. A common bond of sharing their passion for creative expression led the artists to come together and form Vital Hues. Each of the artists’ unique talents, be it drawing, painting, sculpting, or printmaking, add vibrancy, freshness and originality to each of their shows.